I am a 100% purebred uphill athlete. For me, 2017 marks 30 years in the outdoor industry. 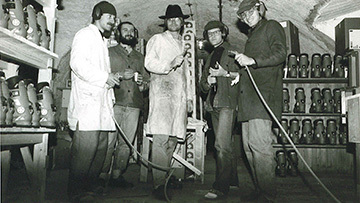 It also marks 30 years from when I really started being a mountain guy; as a climber, road bike racer, ski tourer and skimo racer, and a mountain runner. I consider myself performance oriented, and I am all about going uphill, in fact I am a 100% purebred uphill athlete. 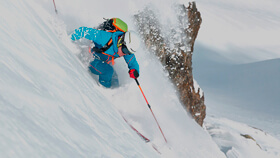 It only makes sense that I would gravitate to Dynafit as the brand I want to use, for both winter and summer. I live in the Alps and am in the mountains literally 300+ days a year. I know what gear works for me and all the little things that add up to make for a solid piece of gear. 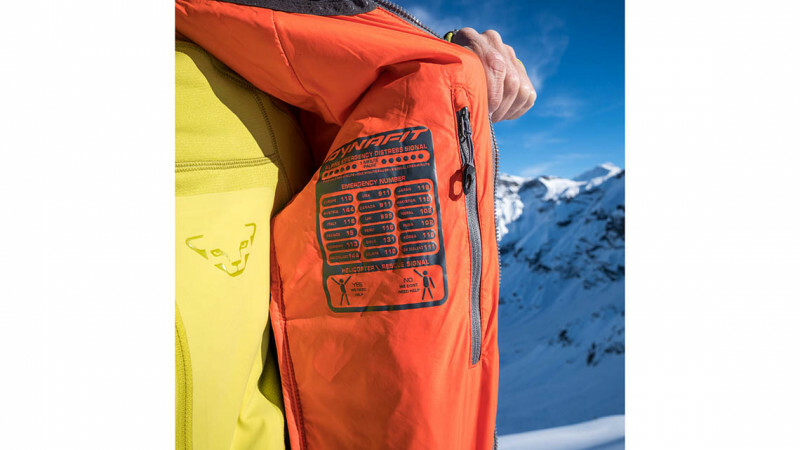 It has been great getting to know the Dynafit line, but not just the pieces themselves, but little details the designers added to add to the value of each piece. Some you may know, others not. Let’s take a look at some of my favorite gear, and some tips for how they are meant to be used. 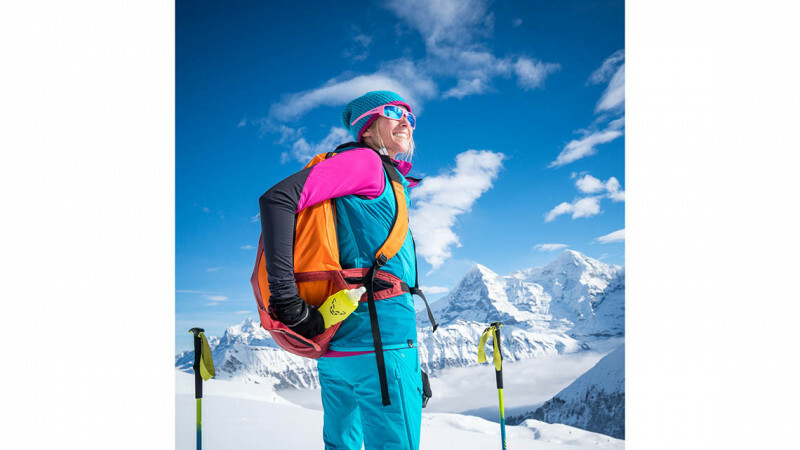 For the mountain sport athlete, or for anyone interested in outdoor recreation, there is a huge amount of gear to choose from. The Outdoor Industry is saturated with offerings. But, with all that gear to consider, I’ve found that there are actually only a handful of true performance brands - brands that get what it means to perform in the mountains, not just look outdoorsy at the café. 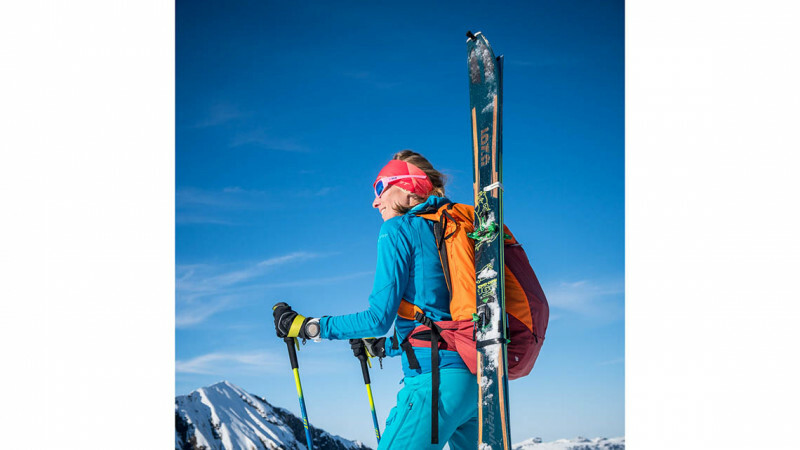 Based on the ubiquitous and proven Dynafit skimo race pack, RC20, this ski touring pack has all the same features and ultralight design without sacrificing comfort or performance. 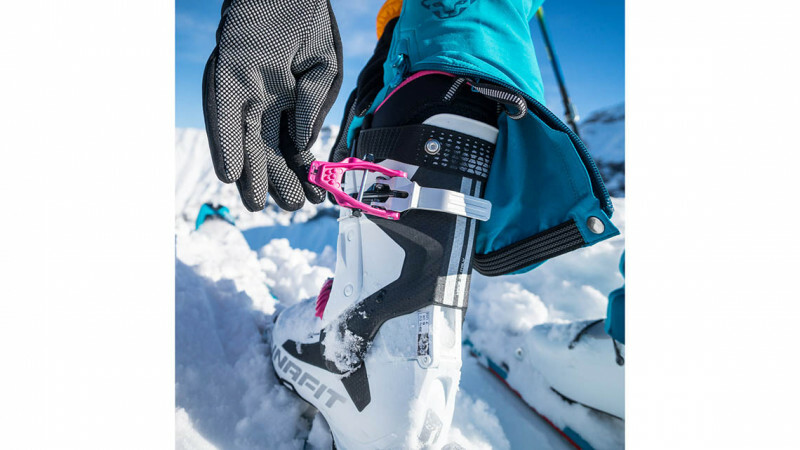 One of the key features of the RC35 is the Dynafit ski hook and loop system for super fast ski attachment without having to take the pack off (think of the system as a kind of Game of Thrones sword holder). Also, what they call the Safety Box, a huge panel with velcro closure that is accessible without taking the pack off. The Box is perfect for crampons, to keep them separate from the rest of your gear, or if you don’t have crampons, then food, thermos, camera, etc… anything you need quick access to. 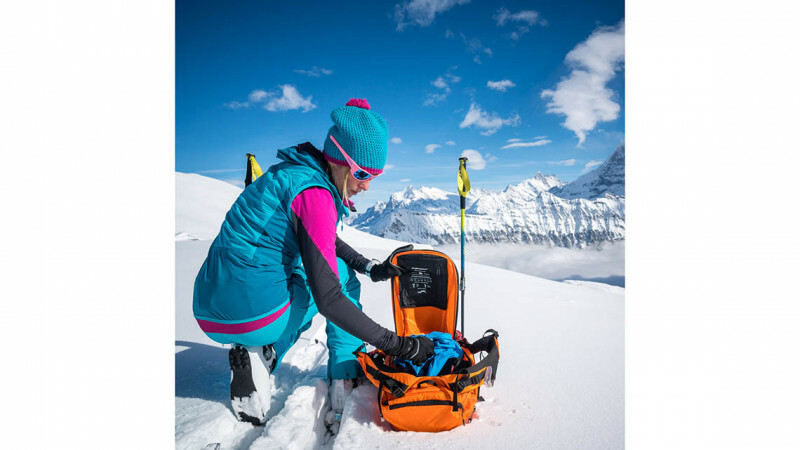 Finally, the pack is a rear panel loader, meaning you take it off, drop it on the ground, and on the back panel is a zippered opening, duffel bag style - undoubtedly the easiest way to get into a ski pack. But it also has a vertical side zipper as an option. This pack is feature rich yet only weighs in at 830 grams. 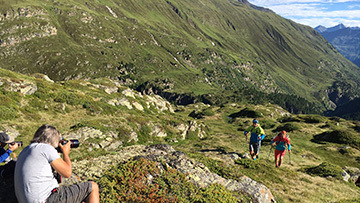 This is a key piece of gear for me for more than skimo, or ski touring, but also summer mountain running. The key feature are the large chest pockets designed to hold skins against the body to keep them warm for the next attachment and uphill. These pockets are also ideal for holding soft water flasks, food, and wind shirts, like the React jacket. For me, this is a kind of favorite discovery. The PDG pants are my choice for skimo training because they are like running tights, great for up, but rather chilling where you don’t want them to be on descents. I thought an insulated short sounded like an oxymoron, until I used them and discovered they make perfect sense. With Polartec insulation and full length side zips, these knee length shorts cover everything you want covered, your boots will do the rest. Perfect. 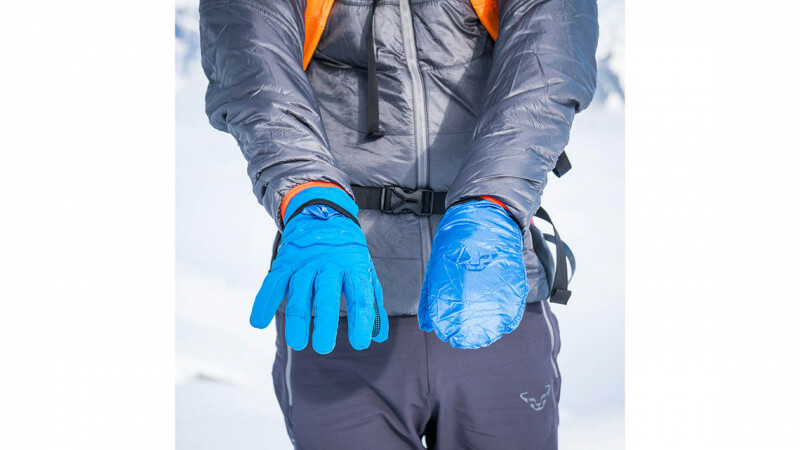 Another spin off from the skimo race gear, the Mercury is a medium insulation glove with a hidden pocket (visible on the glove to the left) on the back of the hand, where a nylon shell lives that completely covers the glove like a mitt. That little shell barrier is enough to add significant warmth for long, freezing descents. And again, there is no added bulk or weight. Simple and efficient. Another product tip. 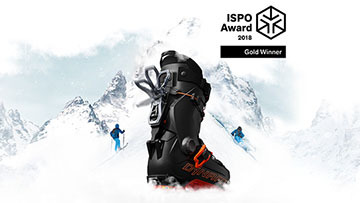 The TLT7 is a remarkable boot that should be ideal for most ski tourers seeking a balance of uphill comfort, minimal weight and downhill performance. It is essentially a one buckle boot that thanks to the design pulls the boot tight with the throw of a lever. But, there are actually two levers within one. When both levers are open, the boot is ultra soft and flexible. With the first lever in lock mode, it tightens the forefoot, keeping it snug in the boot and preventing the heel from rising. Lock the second lever, the primary, and you are in downhill power mode. 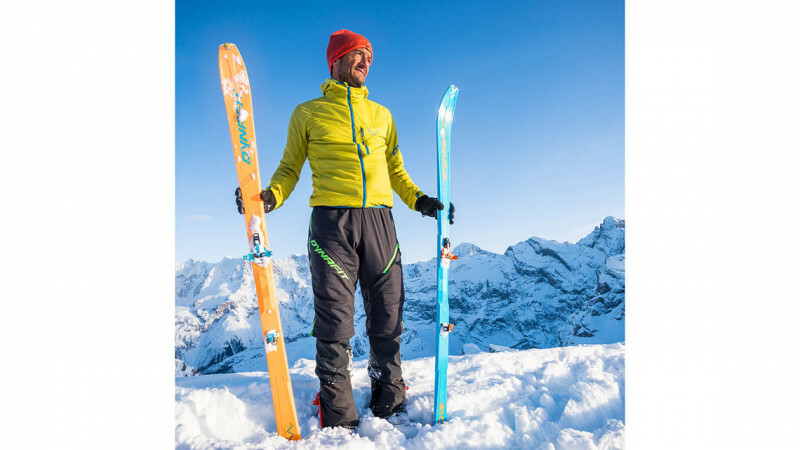 Besides the extra weight of being a real ski touring boot, the TLT7 doesn’t feel so much different than a race boot for the ups, yet skis down incredibly well thanks to the stiffness that can be achieved with the buckle system.